Acorn TV: Netflix for Grownups! If you like the kind of smart, articulate dramas, mysteries, comedies and documentaries that we typically find on America's PBS stations, you'll love Acorn TV! 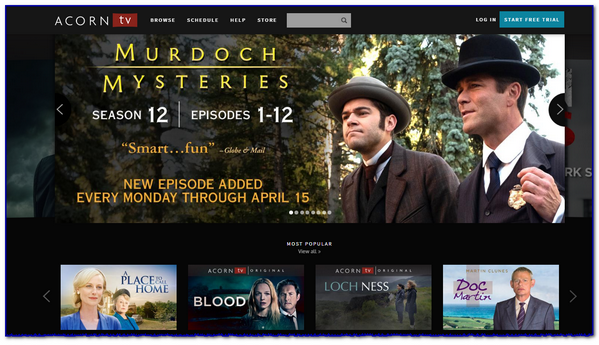 For just $4.99 a month (You can quit anytime...) Acorn TV will let you stream and binge-watch some of the best British, Australian, Canadian and Irish TV series and stand-alone films!